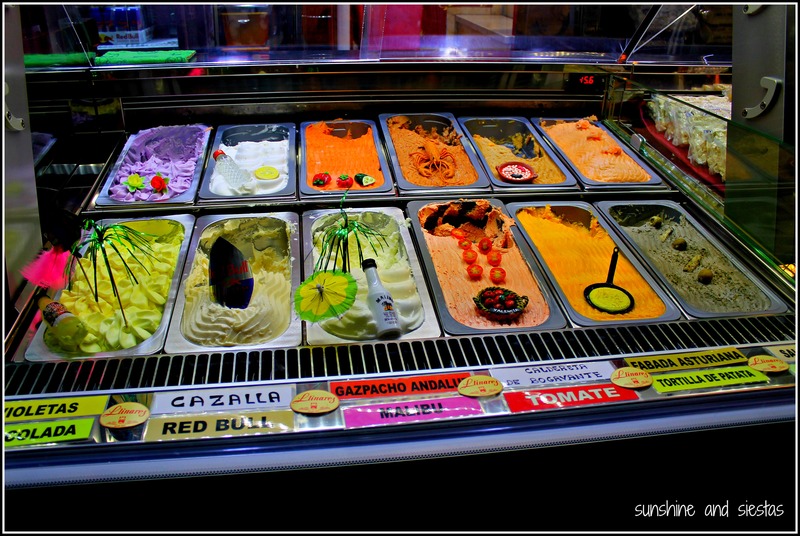 Outside of Italy, I’d never seen a group of camera-clad tourists so fascinated by a street side ice cream display. 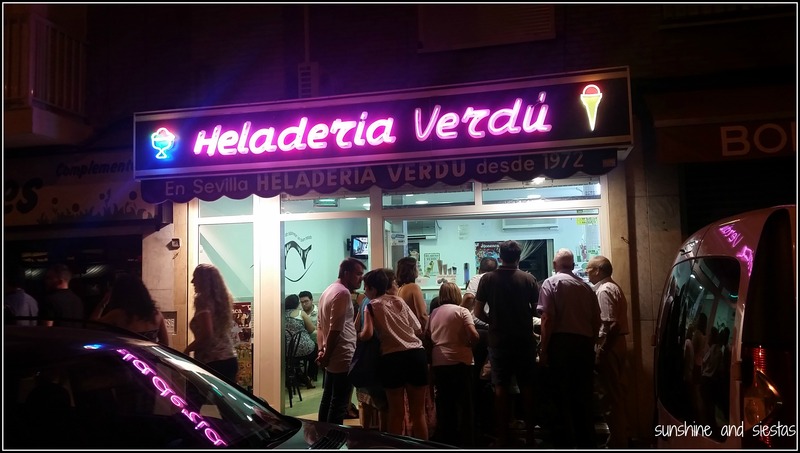 In a city known for its rice dishes, avant-garde architecture and brash fireworks display (oh, and being the region from which those crazies the Borgias came from), I never expected to see such fuss over an heladería. As we got closer on a walk around Plaza de la Reina of Valencia, crowned by the cathedral, I realized why. 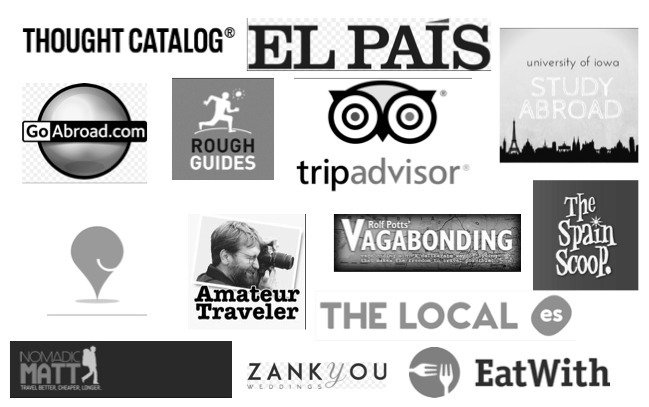 Yes, those flavors are cream of shellfish, Asturian bean stew, anchovies in vinegar and gazpacho. The girl in line in front of us tried a bit of the fabada stew and spit it out immediately. I dared to try the anchovies (which I normally only eat with picadillo), and it tasted like just that: fishy vinegar. 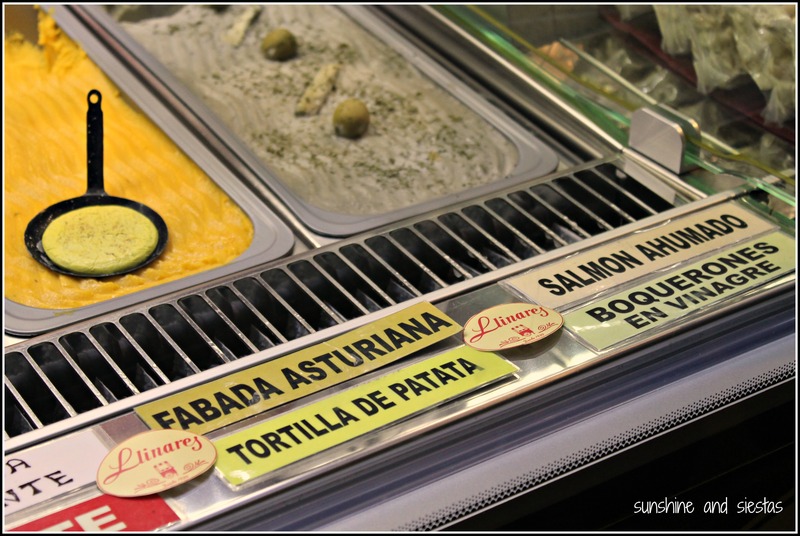 The girl scooping ice cream behind a high counter turned up her nose at the girl, telling us that all of the flavors were artisan and made in the company’s obrador, just like Dispensa de Palacio in Estepa. Just for good measure, we tried gazpacho and tortilla. They tasted just like the flavors they claimed to be. 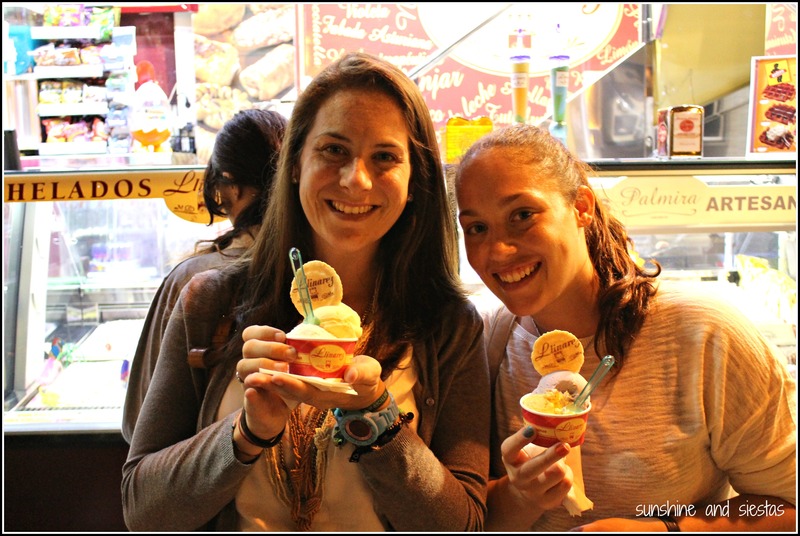 But don’t worry, if you’re not adventurous, Heladerías Llinares has all of the normal flavors and a few twists, too. I chose piña colada and mojito, preferring something fresh to something chocolatey. 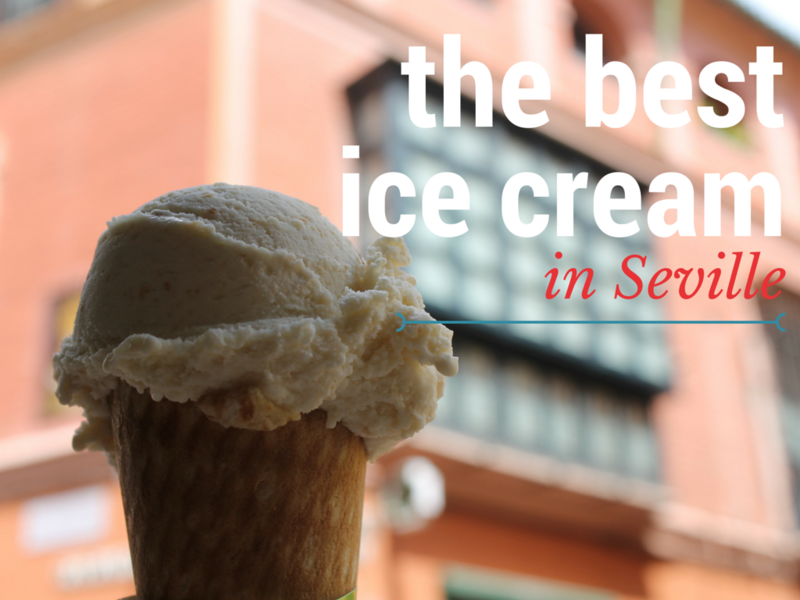 The company operates several ice cream shops, but the most central is located in Plaza de la Reina, 6, and open daily until midnight. 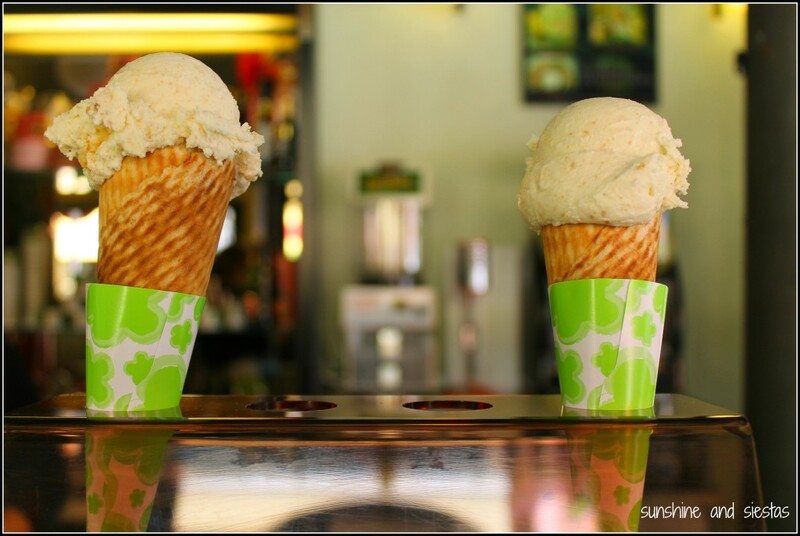 A cup or cone with two flavors will cost you just 2,20€ – not much more than you’d pay for an ice cream bar on the beach. What’s the strangest ice cream flavor you’ve ever eaten?